We must always think of our own nonprofits from the outside first. Build your empathy muscle for what your donors, volunteers, and visitors see, hear, and feel when they interact with your organization. 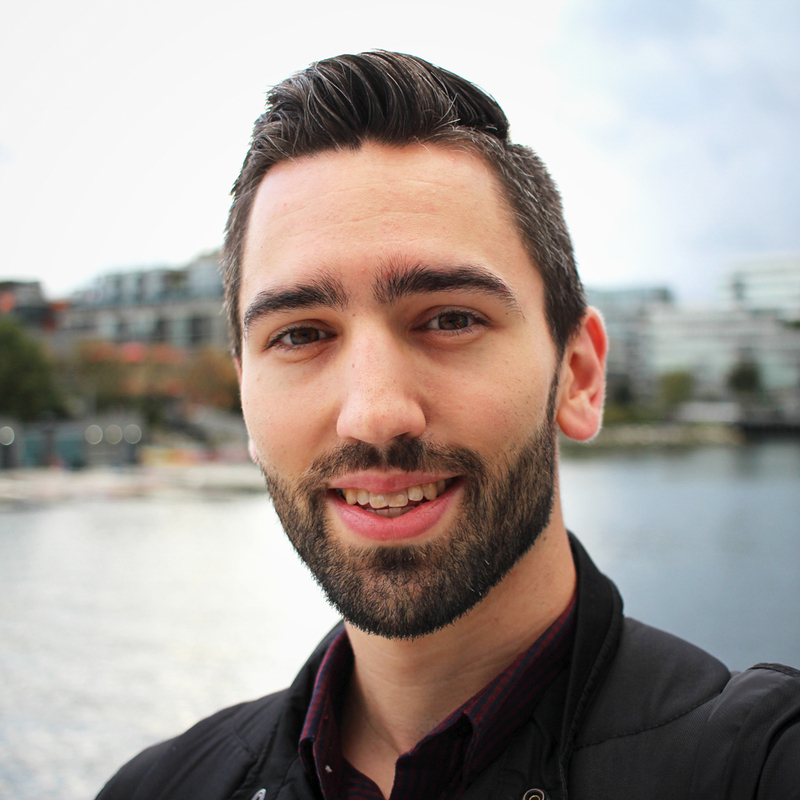 If someone went to your website, visited you at an event, and received one of your emails, would it feel like it’s from 3 different organizations? Be honest here. Or in different terms, if you put out an image on social media without putting your logo or name next to it, would your followers recognize it’s from you? That’s real branding consistency. Nonprofits are notorious for just going with whatever the template is, or the free graphic from Canva, and slapping their logo on it. Because hey, it looks good, right? But looking good is very different from consistent branding. Every time you switch up your style it detracts from the trust and relationship you’re building. Your designs and content don’t have to be fancy, they don’t need to be expensive, but they DO need to be consistent. These are my top 6 ways you can keep consistent, without spending a ton of money and time. This should be accessible to EVERYONE in your nonprofit, or freelancers or volunteers who work remotely. A brand guidelines document is how you spell out the styles, the colours, fonts, the tone, the language that you use. You don’t need to meticulously spend hours crafting a fancy document, it could even be a bulleted list in a Google doc. But whatever it is, put it in a central place so that everyone is working from the same blueprint. One caveat here, we’re not talking about what’s better for your brand, using an Arial font or Times New Roman, that’s all debatable and up to you. What isn’t debatable, is that you should pick one, and write that decision down. And that goes for the other 5 tips in this list, which are the essential must-have’s in any Brand Guidelines Document. One of the first things people notice subconsciously is colours, which is why it’s such an important element. Colours offer a “brand” element to any document, any design, and any use. You can think t-shirts, a sign, your website, an email header. If you’re telling people “dark blue”, and “close enough” has ever come out of your mouth, you’re missing the mark. I always recommend at least a primary colour and an accent colour. With these you can jazz up your social media account, your thank you letter, or the sign outside your event. You have a couple options for writing down colour codes, I generally recommend the “hex” code, which looks like #ef23j9. This is the simplest, and is widely used across websites and design programs. 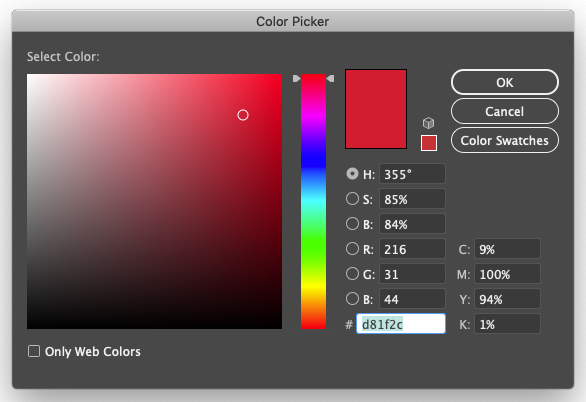 Other options for colour codes are, RGB which is a set of 3 numbers, and CMYK which is a set of 4 numbers and often used for print materials. 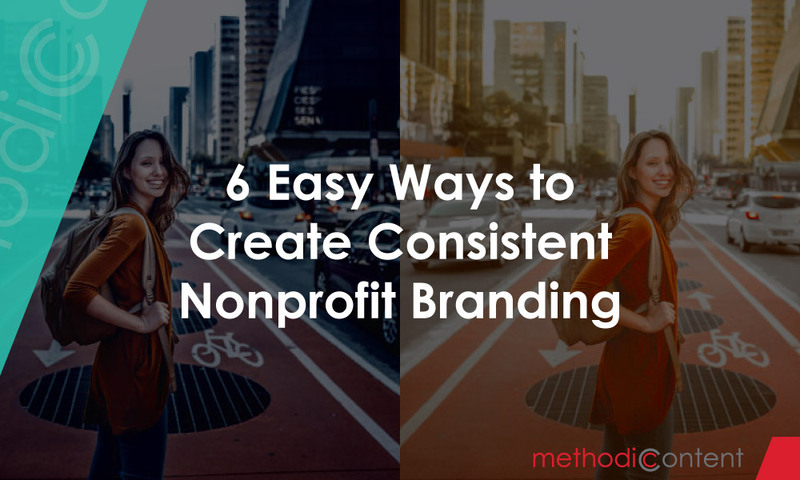 Choosing a sans-serif font like Arial, or a serif (curly) font like Times New Roman is a style choice you can make for your nonprofit. But you need to pick one and stick to it. Fonts can evoke a lot of emotion, and switching back and forth on your print material and your website can be very jarring. To go beyond choosing between sans-serif, and serif fonts you should actually be choosing 2 or 3 specific fonts. Often 1 of them is dominant in your logo, and you can use it for headings, sub heads, or other elements. For main text fonts you don’t want to get too fancy. You can also purchase special fonts, just know that if you plan to use them on your website there can be limitations. 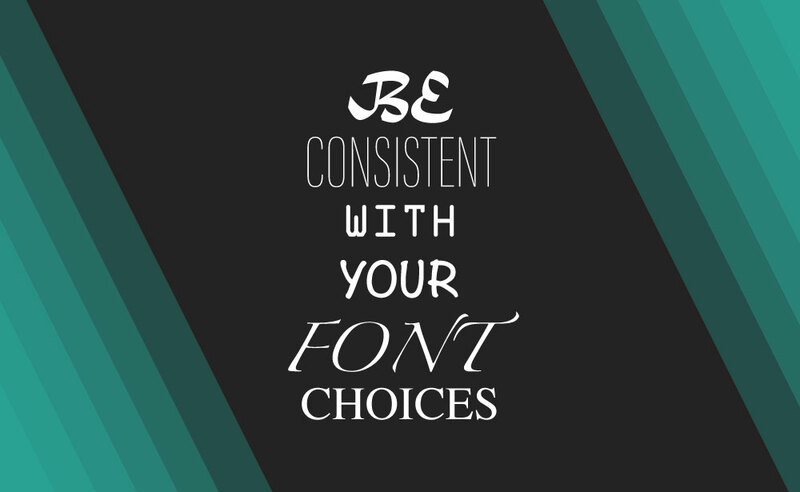 Stay consistent here, fonts can really change the feeling or voice of how your reader sees your content. Speaking of voice, the fonts may evoke certain feelings, but also the language you use is very important. Do you refer to your organization in the 3rd person, or the 1st using “us” and “we”? Do you use exclamation points, jargon, emojis, and…lots…of…ellipsises, ellipses…ellipsise. Whatever they are. Answering these questions not only reinforces your consistency across your channels and material, but you’ll likely have multiple people writing for your organization in some form or another that you can instruct. But it’s not just the style of characters that can make you seem playful, or serious, it’s the language used. Some tend to utilize language which would often be found only in academic papers. And whilst one’s own preference for language might be contrarian to others in a given situation, you just shouldn’t! I mean shouldn’t… flip flop back and forth, am I right? Try to give these guidelines to everyone that will be helping you create content. Do you use rounded corners on boxes and buttons? Are the icons you use solid colours, or outlined with white centres? Are your backgrounds textured, patterns, gradients, or solid? Beyond those simple design elements, you can also consider the graphical elements to your website and social images. You can use patterns like circles, squares, dots, triangles, etc. You could add curved sections to your graphic, or have sharp jagged lines. Keeping these consistent reinforces the tone, and believe me, choosing rounded curvy shapes versus straight shapes has a very different feeling to it. Again it doesn’t matter what you decide on for consistency, it matters that you do decide. 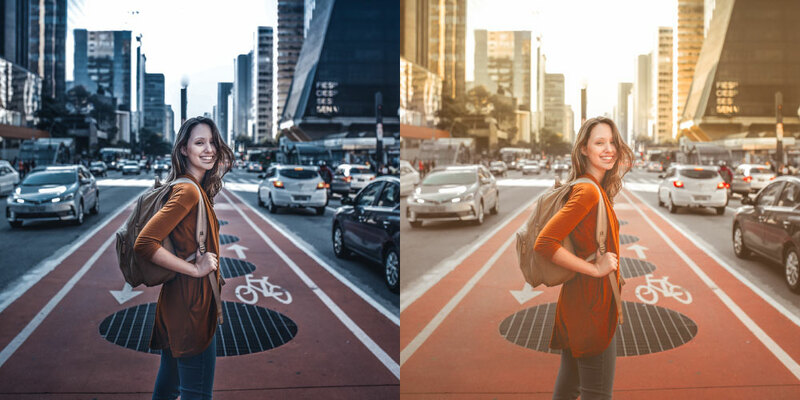 Adding image filters to your social posts or website images can be a quick and easy way to make them appear a part of a theme, even if they’re completely different pictures. You can tone your images as a little bit softer, or create a darker, more contrasted look, or brighten them up with lots of exposure. Picking a random filter from instagram for each separate post is probably not a good idea. Even no filter can be a little risky if your pictures were taken at completely different times by different people. A little editing can go a long way. See the example below of how an image’s feeling can change with a different colour and style to it. If we’ve learned anything here, it’s about making decisions once, writing them down, and sharing and enforcing them. This will actually end up saving you time in the long run. It will save you arguments because you can just say “nope, our guidelines say only pink and blue”. It will speed things up because you can communicate the parameters ahead of time, instead of editing afterwards. AND it will build your brand and relationship with your donors and volunteers because they will get to know “you” and expect a certain version of “you” to show up.